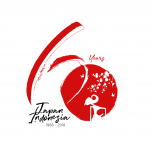 Tourism and Exchange Division co-organized “Indonesia photography information seminar” with Japan Professional Photographers Society (JPS) to commemorate the 60th Anniversary of Japan-Indonesia Diplomatic Relations. 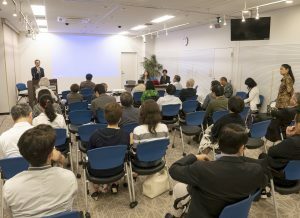 Ms. Mizuho Kanda, Tourism & Exchange Division, ASEAN-Japan Centre explained about the 60th Anniversary of Japan-Indonesia Diplomatic Relations and introduced the rapidly changing Indonesian society by highlighting widely popular car hailing apps. Photographers of JPS introduced photogenic locations accessible from Bali. Photos and aerial videos were shown during the presentations. Ms. Naomi Takahashi, Marketing officer, Visit Indonesia Tourism Office introduced new destinations and Ms.Nami Shino, Garuda Indonesia and Mr. Morio Hiruma, Air Asia shared Information about international and domestic flight services.